Acorn Blue, a developer, has opened preliminary talks with Cuby Parish meeting, Tregony Parish Council and Roseland College about a potential development of land opposite the college. The land is owned by the Diocese and Acorn Blue have an option to purchase it subject to planning permission. The site has not been included in any Cornwall Council plans as a site allocated for development and neither Tregony nor Cuby have been allocated any significant housing numbers in the Local Plan. 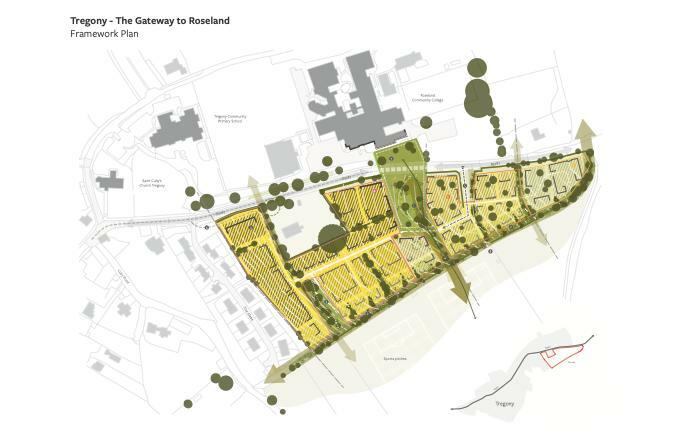 This means that the site would not be looked upon favourably by the planners if a planning application was submitted for it. However, if the developer was able to show that there was strong local support for a development, it may be possible for the planners to consider it as an acceptable development.